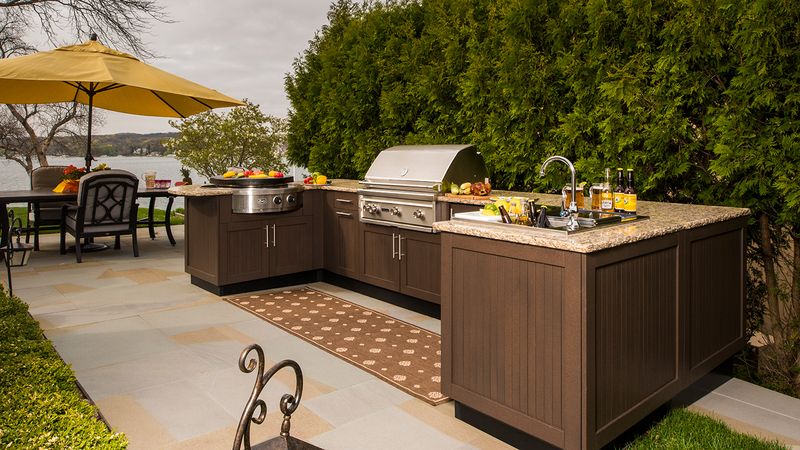 Brown Jordan Outdoor Kitchens are manufactured by Danver Stainless Outdoor Kitchens, widely accepted as the preeminent stainless steel cabinet manufacturer. 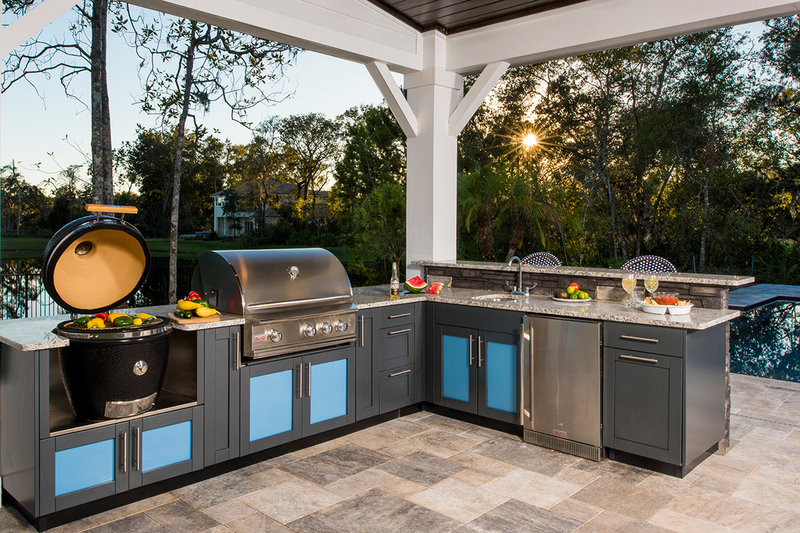 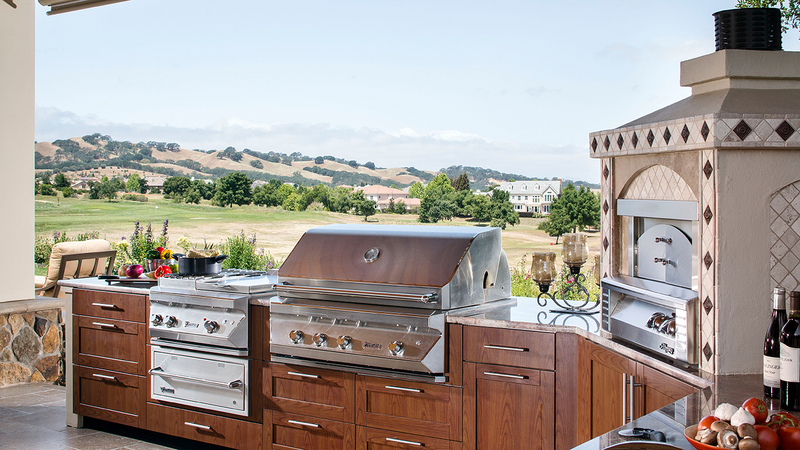 Made in the USA, Brown Jordan Outdoor Kitchens combines quality, durability and engineering perfection, along with the color, style and design you expect from the Brown Jordan brand. 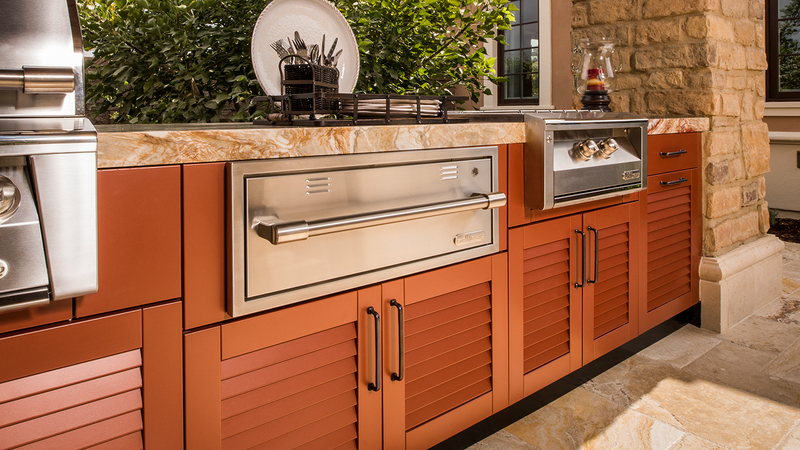 Featuring cabinetry in dozens of styles and hundreds of sizes, all made from durable and environmentally-friendly stainless steel, architects and designers of all disciplines have the luxury of design flexibility – the freedom to create outdoor living spaces anywhere – rooftops, decks, transition rooms, backyards and more. 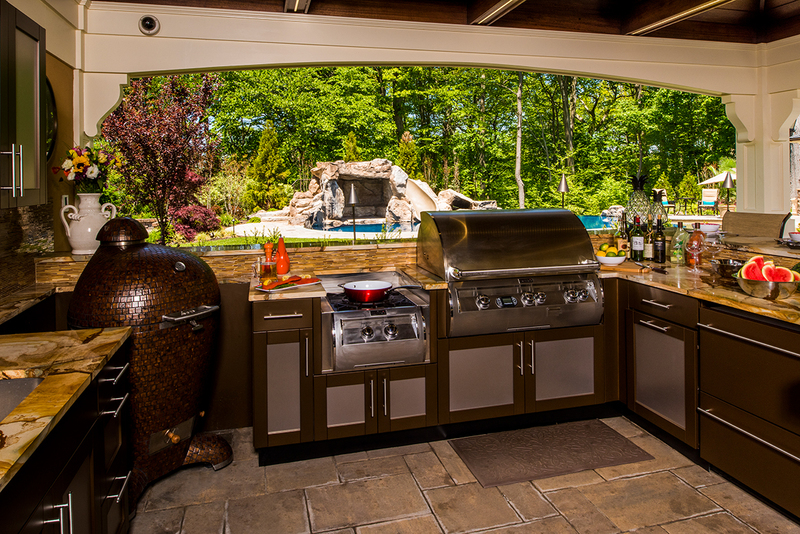 Brown Jordan Outdoor Kitchens established the new norm in today’s outdoor kitchens; creating and perfecting the concept of bringing all the amenities of an indoor kitchen outside – including storage space, color, and design. 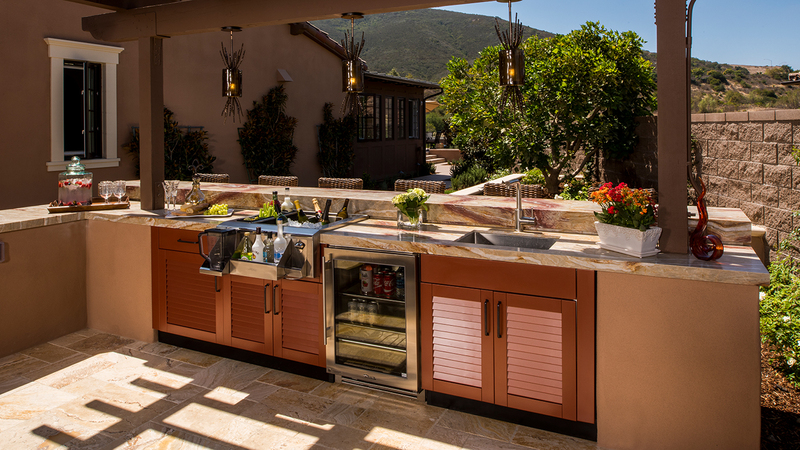 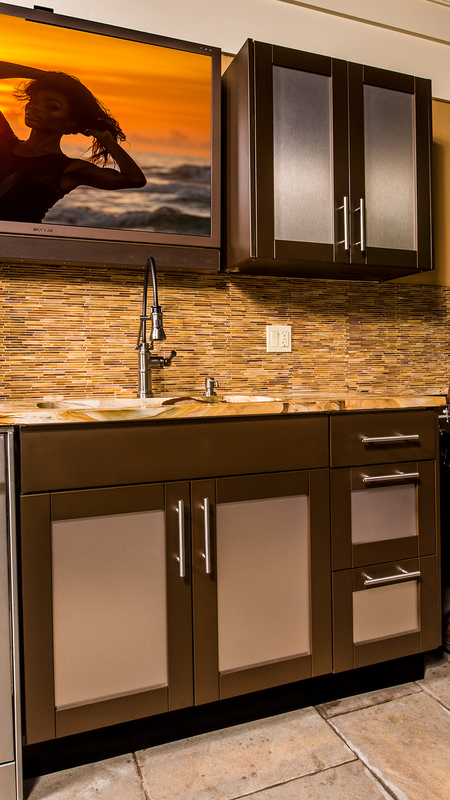 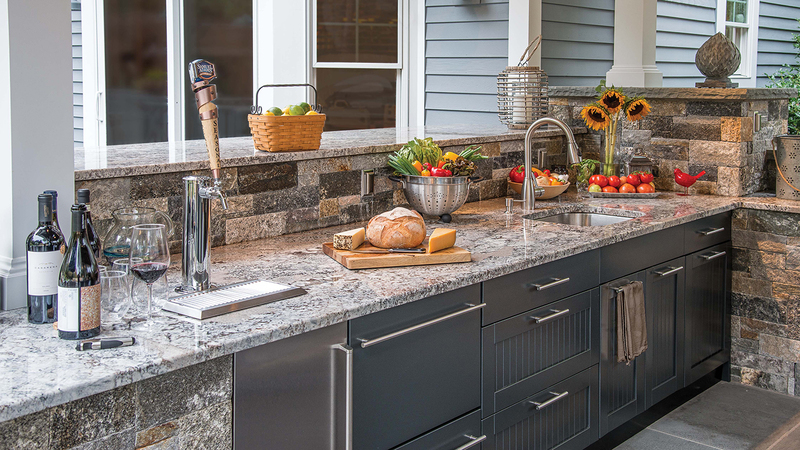 Brown Jordan Outdoor Kitchens are frameless, European-style, and designed to accommodate almost all outdoor appliances regardless of brand including grills, refrigerators, sinks, pizza ovens, smokers, side burners, bar stations, ‘kegerators,’ and wine coolers. 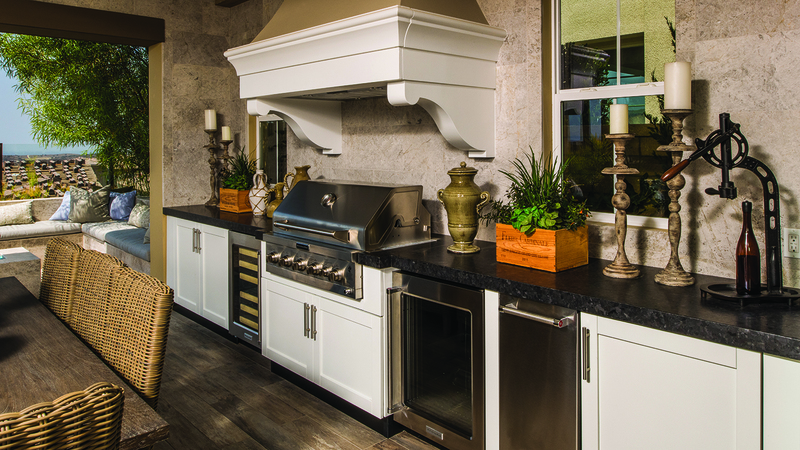 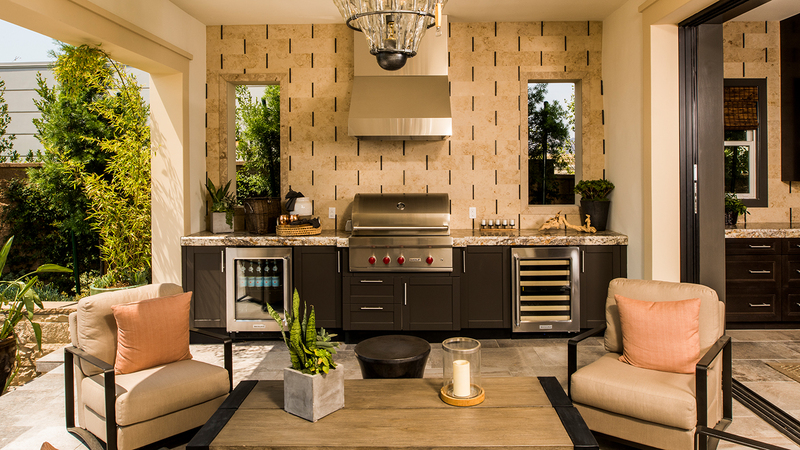 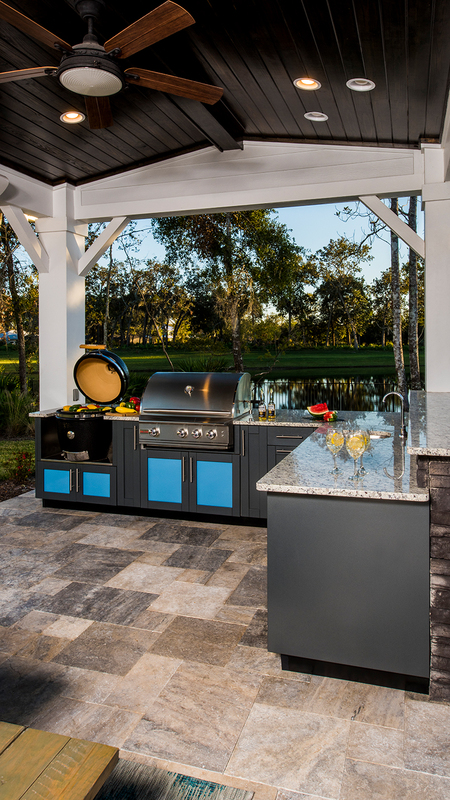 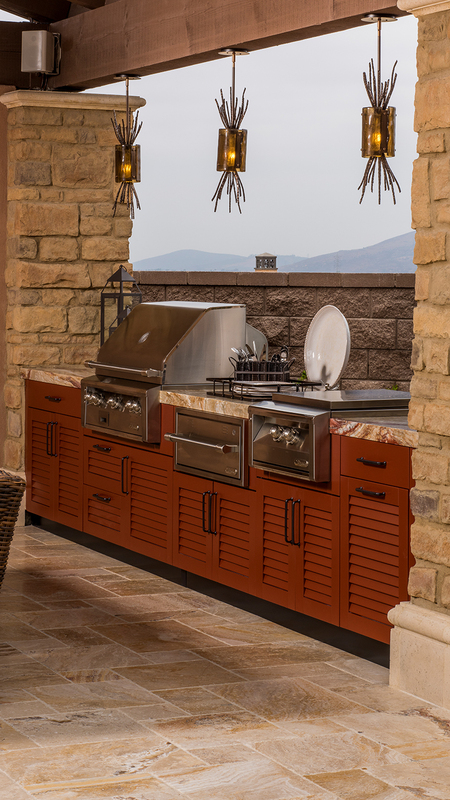 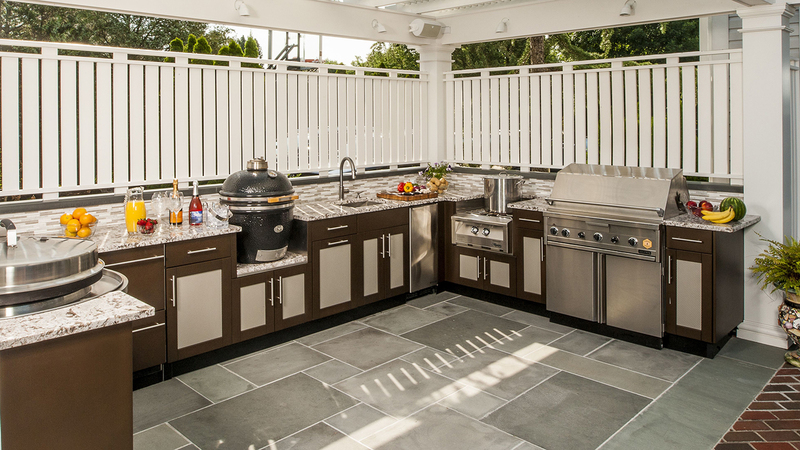 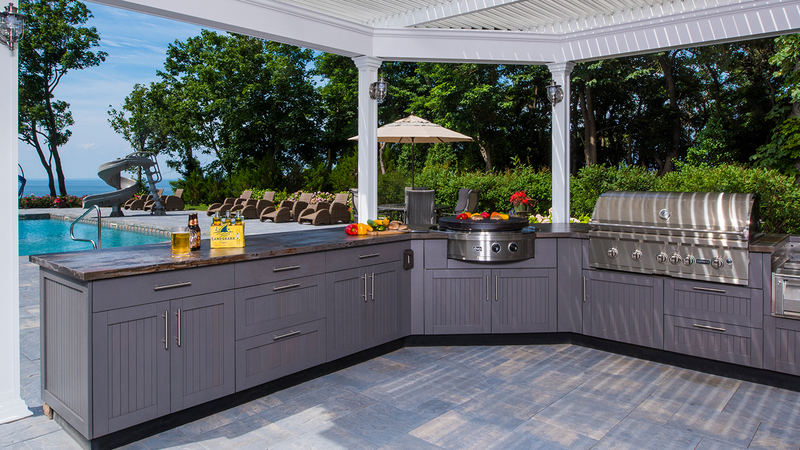 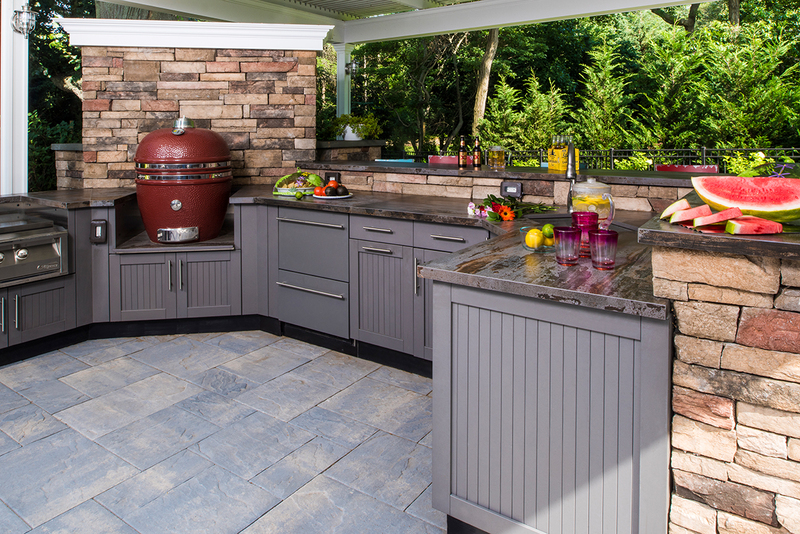 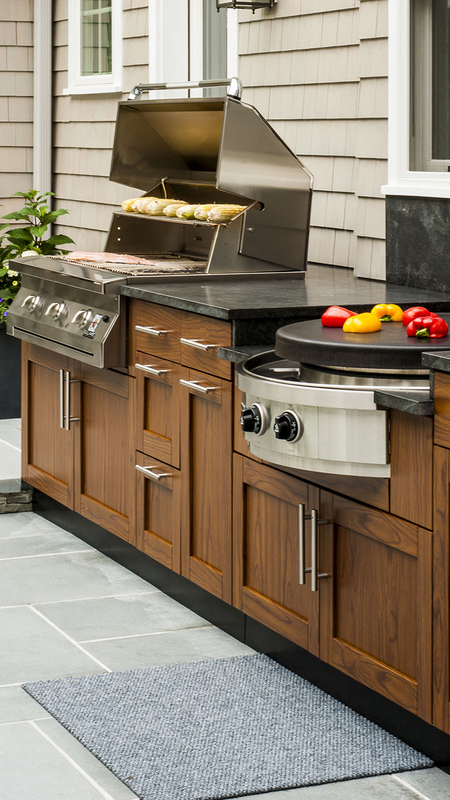 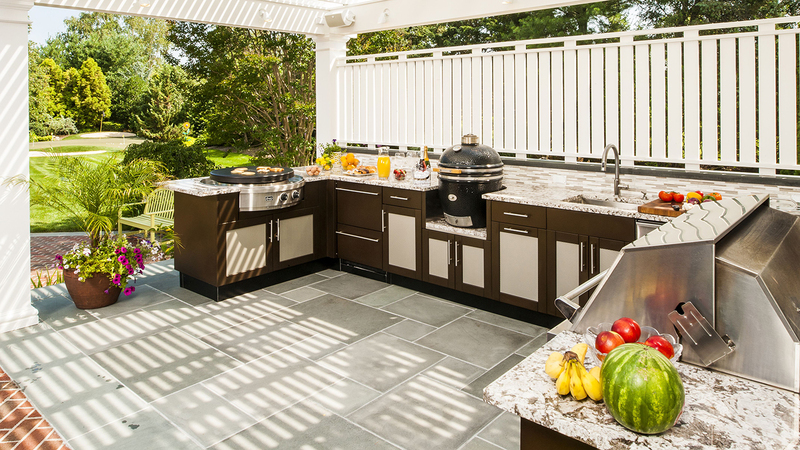 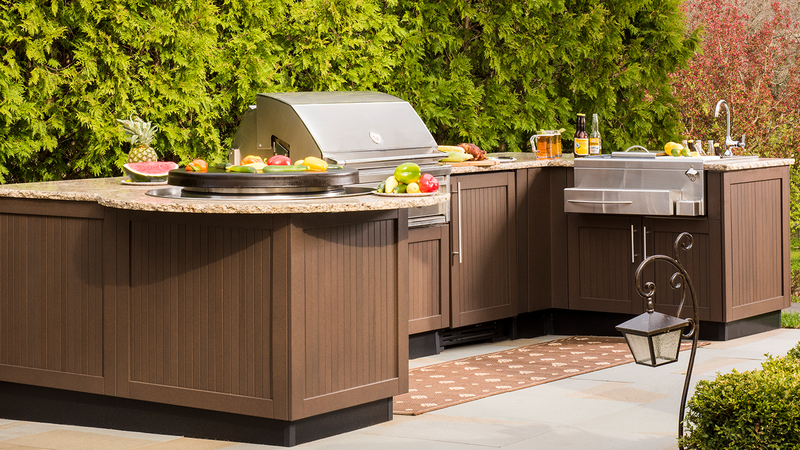 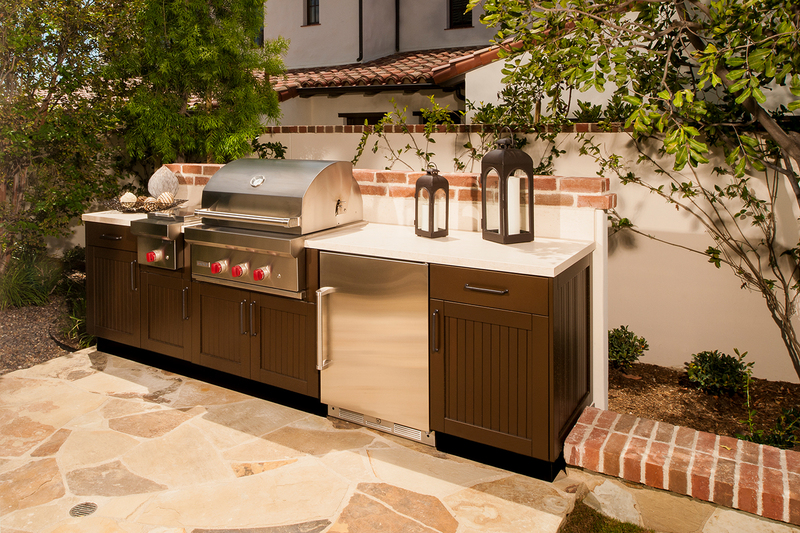 Your Brown Jordan Outdoor Kitchen will reflect how you like to cook and entertain. 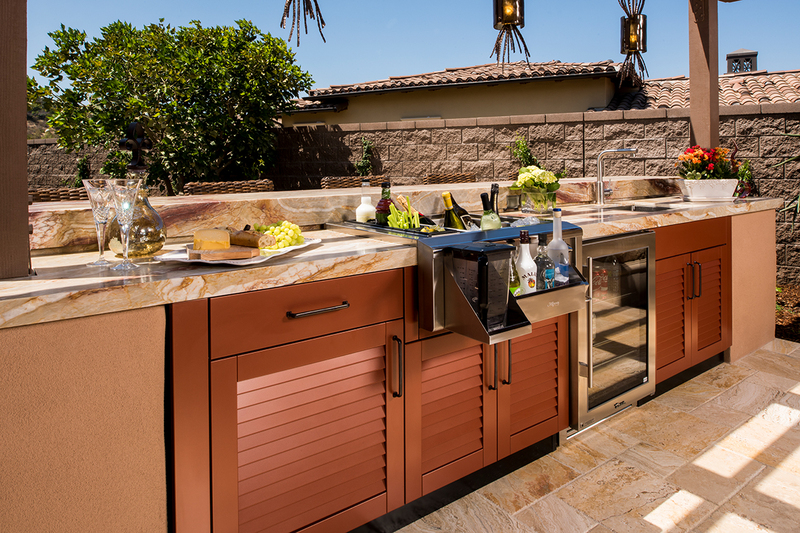 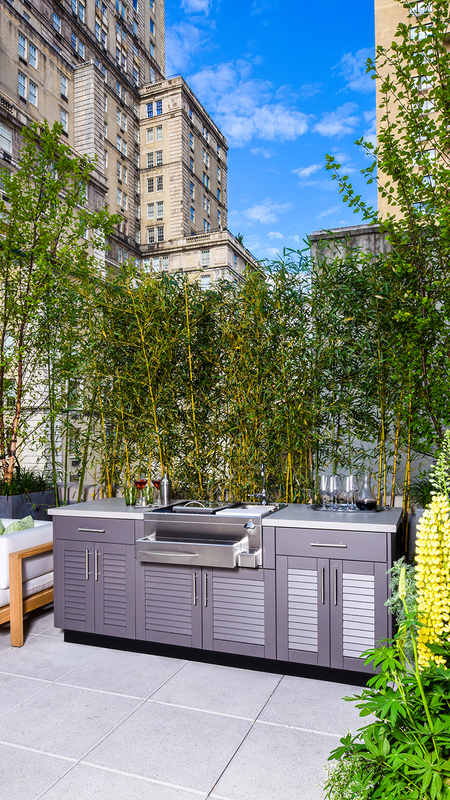 As the leading luxury outdoor kitchen manufacturer, Brown Jordan Outdoor Kitchens is dedicated to ensuring you have the perfect outdoor kitchen.